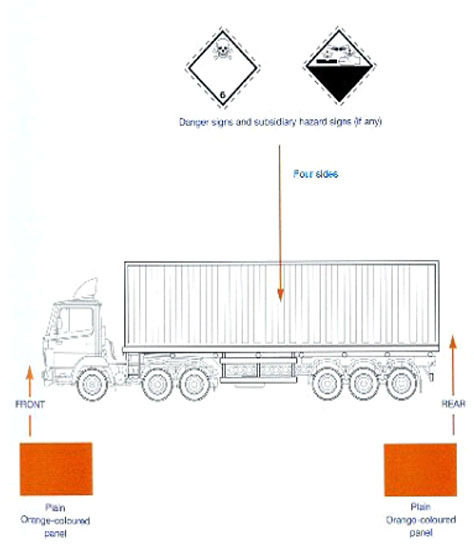 Vehicles carrying gas cylinders which could vitiate the atmosphere must be carried in open or ventilated vehicles /containers or if that is not feasible the cargo doors have to carry a suitable warning. A bulk vehicle must display plain orange plate to the front. Both sides and rear must display an orange plate showing the emergency action code and the UN number for the good carried. Also the correct placard (diamond) for the good on both sides and the rear.